Ecuador tourist power and tourism in Ecuador presents Baños de Agua Santa. Baños strategically located at the jungle gate and at the foot of Tungurahua Volcano, the charismatic city of Baños de Agua Santa offers adventure and relaxation. In fact, it is very popular with local and international tourists alike. Tourism is well established, and a wide variety of activities are offered, from pure adrenaline in extreme sports to a relaxing swim in the hot springs. Baños is mainly famous for its thermal pools (hence the name Baños, or the baths), which is nourished by the mineral springs rich in minerals of Tungurahua. The citizens of Baños comment on the benefits of taking a bath, claiming that baths are high in minerals and sulfur, which can relieve some of the muscle pain for kidney disease. KAYAK: The kayak is one of the most fun adventure sports and in our country we can practice on a number of rivers at different levels of difficulty. In Baños you can learn in several kayak schools and at the same time feel the adrenaline that goes through practicing this extreme sport. 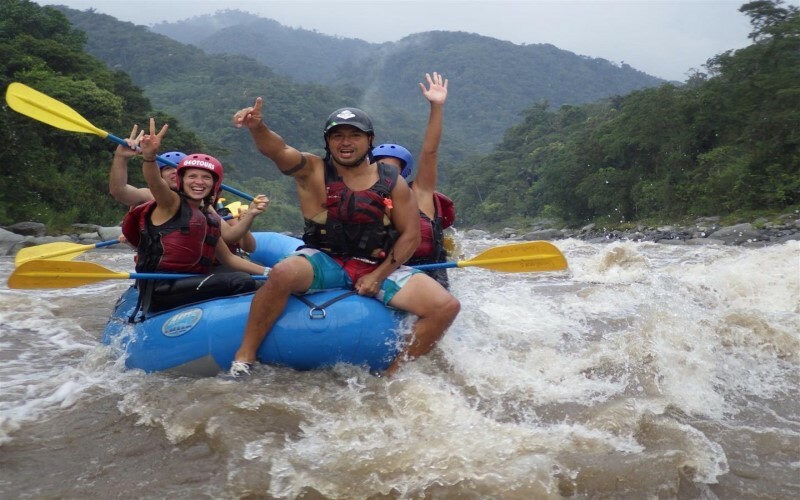 RAFTING: In Baños de Agua Santa you can enjoy this extreme sport in several categories, III, IV and IV +, through the Pastaza river. The tours could last between 2 to 4 hours. There are several tourist agencies in the city that offer this activity with all the security you need, they are also backed by Certified Guides and with several years of experience. CANYONING: Canyoning is an adventure sport that is practiced in the canyons or ravines of a river, being able to present a very varied route, also known as torrentismo consists of going obstacles in rivers or ravines: walking, swimming and unleashing. In the equipment, the person must have at least one helmet, a neoprene suit, suitable footwear, mechanical blockers, pedal, knife, whistle and life jacket. In Baños de Agua Santa there are places to do this Canyoning activity, such as: White River, Cashaurco and the Chamana waterfalls, from where you can enjoy this extreme sport, as well as admire beautiful landscapes surrounded by wonderful vegetation. CANOPY: Canopy is an extreme sport that consists of throwing from one place to another by means of a cable, where the person is held by a specialized team. 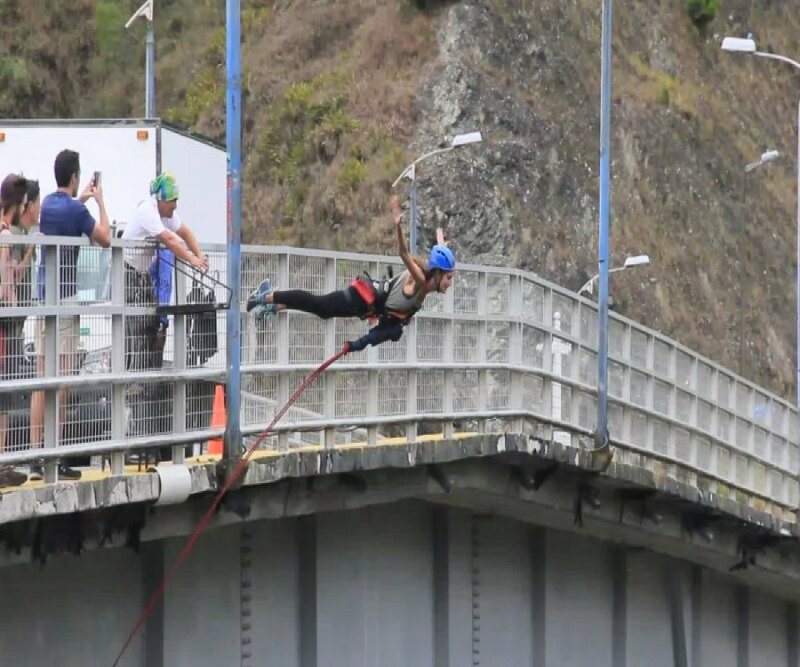 In the city of Baños de Agua Santa you will be able to perform this activity in a variety of places and landscapes in addition to different lengths, in the route of the waterfalls there are specialized places that have all the necessary security to carry out this extreme sport. 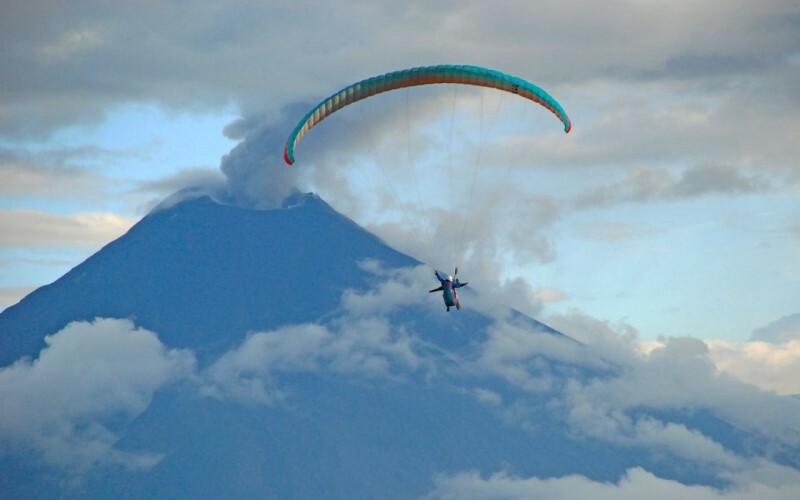 PARAGLIDING: Paragliding in Baños Ecuador, is performed from the city of Pelileo on the hill Nitón, for this activity is done in TÁNDEM, which consists of a flight with a certified instructor and many hours of flight that endorse their experience. In the city of Baños de Agua Santa there are tourist agencies that offer this tour at comfortable prices, also at the end of the activity you share the photos made during the Paragliding. While you fly, you can enjoy an extraordinary landscape, the valleys of Patate, the view of Tungurahua Volcano and the city and Baños de Agua Santa as its surroundings. Do you dare to enjoy an unforgettable experience ..? CYCLING IN THE ROUTE OF THE CASCADES: In the city you can approach some agency and rent a bike at very comfortable prices for a whole day, and travel all the city or if you are more extreme to travel the Route of the Waterfalls, in this route you can Enjoy wonderful scenery, stunning waterfalls, and a path full of adventure and fun. SALTO DEL PUENTE or PUENTING: if you are daring and want to feel an extreme adventure, this is your best option, there are two places to enhance this activity, the first one is located in the Baños - Puyo road in the sector of Río Blanco, a bridge with An approximate height of 45 meters; The second and more extreme option is located in the city of Baños on the San Francisco bridge with a height of 100 meters. Dare to fly, and overcome your fears.